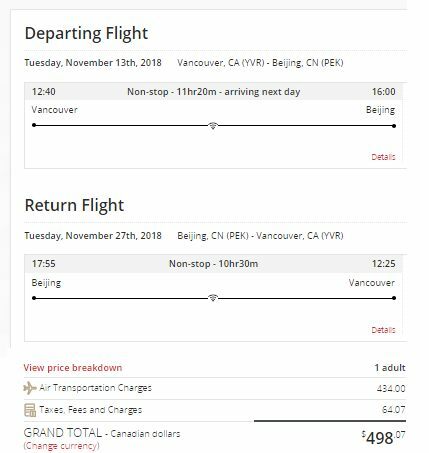 Air Canada has dropped the price of their flights from Vancouver to Beijing, China down to $498 CAD roundtrip including taxes. Update 9/24 - Non-stop flights from Vancouver to Beijing, China are available again for $498 CAD roundtrip. January, February, March, and April 2019 dates are now available for this price. 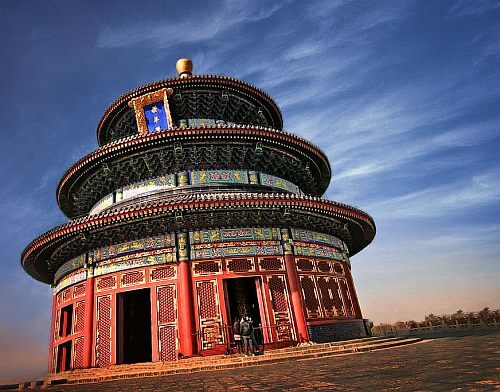 Update 10/18 - Non-stop flights from Vancouver to Beijing, China are available again for $498 CAD roundtrip. vancouver, yvr, flight deals, air canada, asia, east asia, beijing, china and pek.